Shooting ski & snowboard photography is one of the best jobs on the planet, but job description awesomeness doesn`t mean it`s easy. Capturing high-adrenaline action on the mountain can be extremely demanding on your body and equipment, amounting to a hell of a lot more than just fun-n-games on the slopes. For all you aspiring snowtogs out there, here are a few key snowsports photography safety tips to keep in mind when firing-off frames in the wintry high-country. Snowsports photographers often find themselves in vulnerable positions in unforgiving environments. Here`s a few of the situations you`ll encounter and some ideas of how to be prepared to handle those scenarios out on the hill. 1. Your viewfinder isn`t a piece of protective equipment. Skiers & snowboarders often fall victim to camera courage on the slopes, forgetting that it`s important to control their emotions & ride naturally instead of push too far beyond their comfort zone. Similarly, it`s easy for snowtographers (or any photographer from novice to pro) to get lost in the moment and forget that “real life” is going on all around. The strange ethereal cloud of false-security that we magically adopt behind the viewfinder creates a detached perspective of events unfolding, potentially leading to dangerous situations for photogs intent on immortalizing that epic moment.This “distancing from reality” can occur in all types of shooting scenarios — from the mundane to mayhem-filled — but when this sensation is coupled with high-speed, high-adrenaline snowsports action, the end-result of this lapse in judgement can be disastrous. This comes down to vigilance & preparedness. Knowing the avalanche forecast & prevailing weather conditions beforehand is key. Similarly, if weather conditions start great but worsen and threaten the safety of you or riders, call it a day. You can always re-locate to a safer spot unaffected by the nasty weather and rattle-off some lifestyle shots. 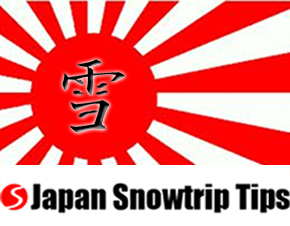 Your fully loaded snow photo backpack (including avalanche safety gear) could easily weigh more than 15lbs/7kg. This will require you to ride relatively conservatively as your center-of-mass will be affected differently, especially for snowboarders. Conservative decision making while rîding with your photo backpack will obviously lessen the chances of falling & damaging your equipment (or self). If you get the opportunity to shoot out of a helicopter — protective harness and false sense of security from behind your viewfinder aside — it`ll make for a pretty hairy shooting location requiring high levels of concentration. But more often than not, you`ll be somewhere on the mountain with your feet (and tripod or monopod) stuck in the snowy ground. Although shooting with a telephoto lens from a generally safe location is a common technique, you`ll often need to set-up a lot closer and in far more dangerous areas than a flat meadow hundreds of meters from the action. You can easily find yourself along steep, narrow traverses or areas of high exposure to falling, as well as directly below slide zones that could be triggered naturally or under stress from riders above you. Also be aware of your positioning in places with obstructed visibility for on-coming riders. Make sure that others are able to spot you (or at least know you`ll be there) below rolls, behind sharp corners along the tree line or in the terrain park below a table-top or jib feature. Even though you`re not exerting the same high-level of energy as the riders you`re photographing — unless maybe on a ski-tour together — harsh weather conditions (e.g. strong winds or long exposure to the sun) along with the mental energy you`ll expend concentrating on your responsibilities will de-hydrate you without warning. Staying hydrated allows you to remain focused, avoid dangerous lapses in judgment and help you keep the creative juices flowing during a long day of shooting. As a rider, familiarity with off-piste riding terrain is important for safety out of bounds. If you aren`t prepared for the cliff or gully on your descent, it could be bad news for you. The same goes for shooting on the mountain. You`ll need to be aware of weather conditions (past & current), but also how the light changes throughout the day. Understanding shifts in light on the mountain aren`t only for positioning yourself relative to the sun for the best angles, but also so you can predict how the snowpack will react as the day progresses for your safety and the safety of your riders. If you`ll be shooting in an area exposed to high amounts of sunshine from start to finish, it`d likely be a good idea to avoid that particular area later in the day as the conditions will be negatively affected for riding (primarily for off-piste zones). Familiarity with your shooting environment will help you avoid dangerous areas so you can set-up away from potential high-risk zones. Inexperienced photographers are horrible communicators. You need to convey clear, concise directives to your riders for your safety, their safety and to dial in the technical aspects of the shot. It`s important that everyone be on the same page and if needs be, for you to remind others that playtime is later. We`re not saying to be rude or bossy in your communication style, but when it comes to situations of life and death, straight-forward communication is the only way to go. Scouting areas together beforehand and having two-way radios during the shooting session make things go a lot smoother than “guessing & hoping.” So many things you encounter while shooting skiing & snowboarding photography will be largely out of your control. Even though there will ultimately be a good bit of free-flowing, high-flying insanity ensuing once the riders start buzzing around, it`s necessary to control the variables you can control to minimze risk for yourself, your riders and anyone else who might be affected by your photo session. 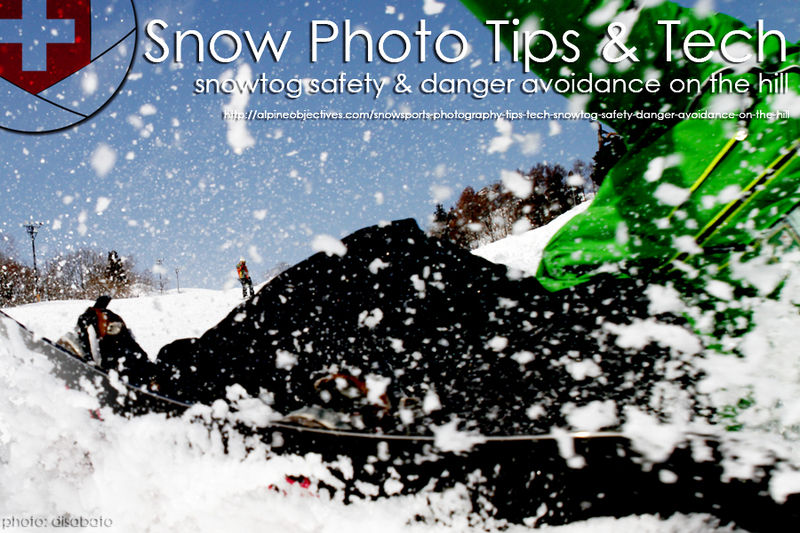 Enough blabber about snowsports photography safety. 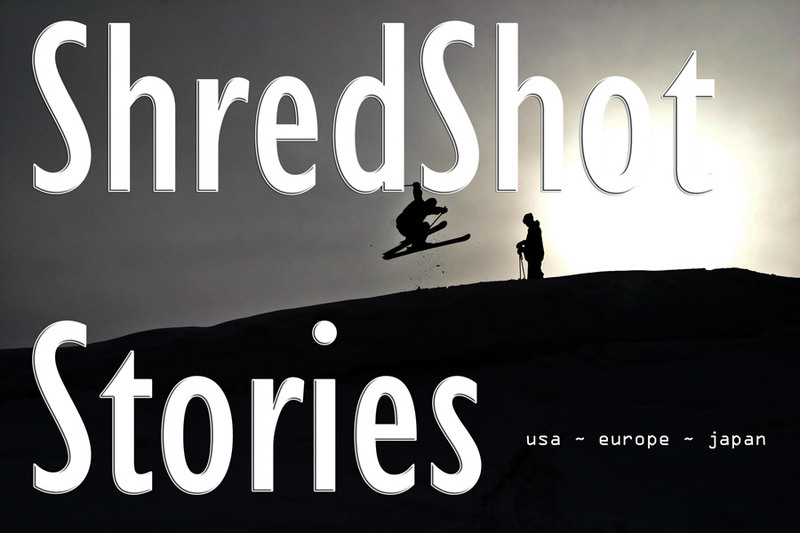 Here are a few some skiing & snowboarding photos from around the wintry world.